Sandy Burr Country Club is an elegant golf and country club located in Wayland, Massachusetts. They're a full-service event venue that specializes in personalized service. They're situated on the tranquil Sudbury River, 16 miles west of Boston. Sandy Burr Country Club offers couples stunning views and a newly remodeled, English Tudor Clubhouse in which they can dance the night away. 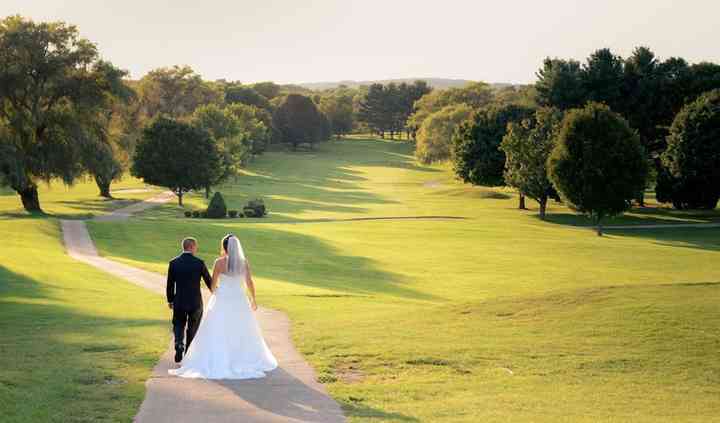 Couples can accommodate up to 150 guests at this golf and country club. The main dining room and lounge in the clubhouse features two stone fireplaces, sure to keep your guests warm. 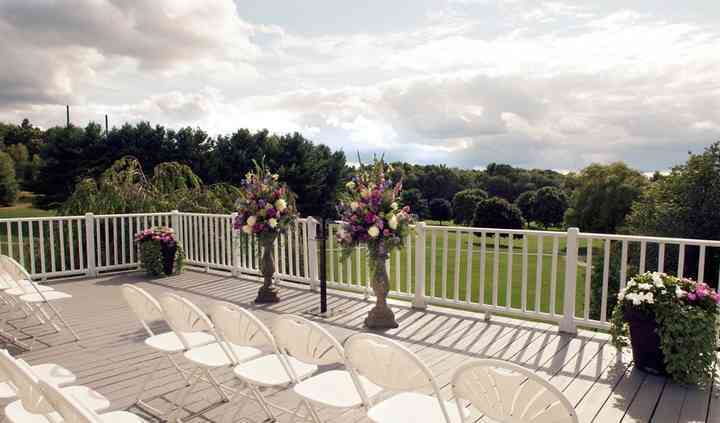 For your ceremony or cocktail hour, they offer a gorgeous outdoor deck overlooking the first and sixth green. Sandy Burr Country Club is a beautiful location for any formal event. I help run our annual "all school prom" and reached out to Debbie Cibotti to host it in Wayland at Sandy Burr and she was ... Read more incredible. Debbie admitted to never hosting a high school prom before, but she took a chance on us and we just completed our third one this past May! She is flexible, detail oriented, helpful and incredibly honest which is exactly what I was looking for when signing on three years ago to run this event for our community. Debbie is always available for conversation and to throw ideas off of and she is fantastic with my students. She is patient and tries to give them their dream event while remaining realistic with our budget. The food options she presents are always amazing, and the execution of the event could not be better. Her staff is also incredibly helpful before, during, and after the event. Our group would be small, never more than 130 guests, and the space is always perfect. Plenty of parking, too, which is helpful! I am thrilled to have established a great relationship with Debbie and Sandy Burr and look forward to continuing the tradition! I would highly recommend this place for any event, big or small, because they work to meet your needs within your budget. Sandy Burr is a beautiful, quaint, and quiet location. It was perfect for our wedding of approximately 90 people. I could not have asked for a better venue coordinator than Debbie! She was absolutely ... Read more absolutely amazing, and the most helpful person I've encountered. They allowed us to bring in our own caterer, cake, entertainment, etc. 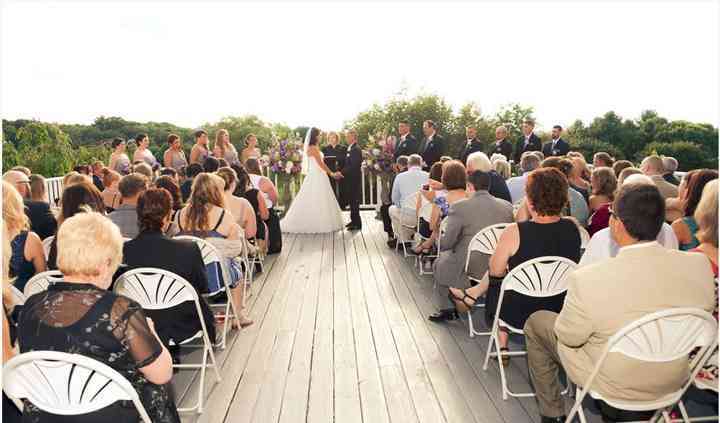 The deck made for a beautiful ceremony spot, and the reception area was perfect! The dance floor was full, but not crowded all night long. The bartenders were friendly and quick service did not go unnoticed. We appreciated the flexibility with rehearsal, set-up, amount of time we got to party, and break down! We will definitely keep this venue in mind for future events.